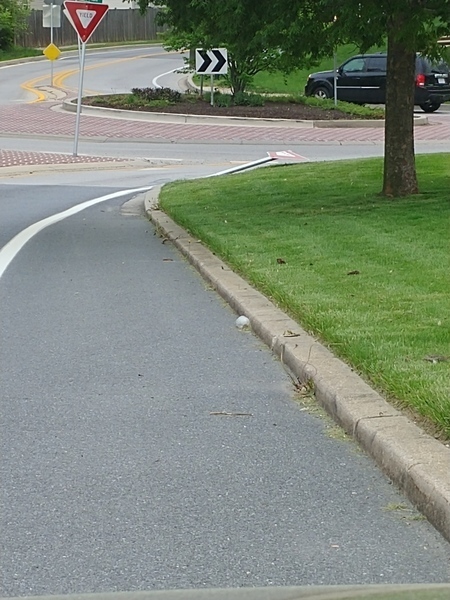 yield sign down at traffic circle at All Saints and Whiskey Bottom Rd. Is it possible to have either a trash can or pet station installed at Wyndemere Playground to allow pet owners to clean up after their pets and anyone using the playground area to throw away trash. Currently there is not a trash can or pet station installed at this playground. This is a trash free park. Residents are encouraged to take trash and waste with them when they leave. Is it possible to have a crosswalk and/or signs placed at this playground in Wyndemere to allow vehicles to slow down when entering and leaving Wyndemere. There is a problem with speeding in this area.